After waking the ley lines, things for Ronan, Gansey, Blue, and Adam begin to change. Adam begins to feel the full weight of his sacrifice, Ronan’s dreams begin to intrude upon reality, and Blue desperately tries to fight her fate. Meanwhile, Gansey begins to realize that he is not the only one searching for the truth about Cabeswater, and must figure out the puzzle before someone else does first. I seriously squealed with joy when I received an ARC of The Dream Thieves at BEA this year. The Raven Boys was one of my favorite books from last year, and I was eagerly anticipating the sequel. I was a little bit worried that it wouldn’t live up to my expectations, but it honestly was even better than I expected! The writing in this book was incredibly beautiful–Stiefvater has the ability to drop hints and clues throughout the book so subtly that at the end of the book I still found myself being surprised. I love the dialogue between the characters also–they all fit together like pieces of a puzzle and it is evident what each character brings to their little group. This book focuses a lot on Ronan, which at first I was unhappy about because he was probably my least favorite character from the first book, mainly because of his abrasive personality. However, after reading the entire book, I’m glad that Ronan was a big part of it because we actually learn why he has this roughness to him. We finally get the backstory behind his family’s problems, and let me tell you–it was nothing I could have guessed at all!! We also learn a lot more about Ronan’s ability to bring things from his dreams into real life, and how it affects the ley lines in Henrietta. Ronan realizes that there are people looking for him–people that want to use his ability to do wrong. Adam actually ended up dropping down to my least favorite character in this one. After waking the ley line he begins to change. He grows more angry and standoffish, and constants pushes Blue away without realizing it. I think it was necessary for him to undergo this change so that he and Blue could go in the directions they needed to, but I still missed the old Adam. Gansey is still definitely my favorite character. I love his quirky nature and the fact that he is an old soul. He still tries to fix everyone’s problems without giving much thought to his own, and he proves time and again what a good friend he is. Blue is another great character–she loves being part of the boys’ group but at the same time feels like an outsider. She is tough and always stands up for herself and still tries to fight her fate. She is as determined as the rest of the boys to discover the true secrets of Cabeswater, but at the same time she is dealing with the fact that Gansey may be dead in less than a year. I loved the interactions between Blue and Gansey in this book and I’m excited to see where the next book takes them! Overall, The Dream Thieves was an amazing sequel with fantastic character development and beautiful writing. I don’t know how I am going to wait for the next book!! 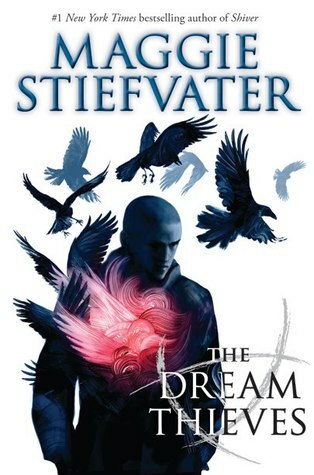 The Dream Thieves is the second book in The Raven Cycle and will be released on September 17, 2013.